St. Petersburg real estate is our passion. Earning customer loyalty, satisfaction and trust by exceeding expectations is our #1 goal. Because the real estate industry is becoming more sophisticated and challenging every day, you need professionals who understand the industry and are positioned to stay ahead of the game. You need The Mesimer Team. The Mesimer Team believes our job isn’t complete until we fulfill your real estate needs and wants. So if loyalty, dedication of service, knowledge of the market and a focused passion for results is important to you, then call The Mesimer Team today. Looking for a luxury or waterfront home? Click here to browse through our gallery of listings or access the entire Tampa Bay MLS to find the house of your dreams. How much is your home worth on today’s market? To receive a free comparative market analysis please click here and fill out our home valuation form. Our experienced agents are on call 24/7 to assist you. Whether you are buying or selling a home or investment property, you need more than an agent – you need a team that gets results. Throughout her real estate career Estelia Mesimer has helped hundreds of St. Petersburg clients with their real estate needs. She understands that a home is one of your largest investments and it is a responsibility she does not take lightly. 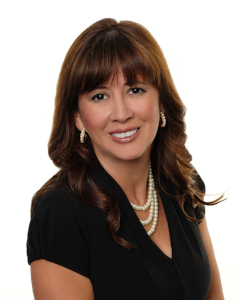 Recognized as a Top Producer in Pinellas County and Mega Million Producer since 2000, Estelia and her team specialize in the neighborhoods of downtown St. Petersburg, Old NorthEast, Dolphin Cay, Caya Costa, Bayway Isles, Pasadena Yacht and Country Club, Placido Bayou and The Bayou Club. You can rely on The Mesimer Team’s detailed marketing strategies, which include online exposure, targeted direct marketing and social media, open houses and frequent communications with a vast network of agents. We know that the best referral source is a satisfied customer – it is why our reputation is built on making sure our clients consistently receive the highest level of service they expect and the results they deserve. Contact us today with your real estate concerns or questions. We are here to help.